1. A prisoner who has been subjected to low pressure experimentation. For the benefit of the Luftwaffe, air pressures were created comparable to those found at 15,000 meters in altitude, in an effort to determine how high German pilots could fly and survive. 5. Capt. 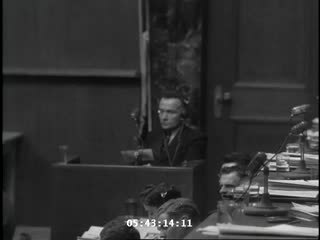 John Barnett testifies to the authenticity of photos taken when his troops overran the Dachau concentration camp at the trial of former camp personnel and prisoners from Dachau. 7. 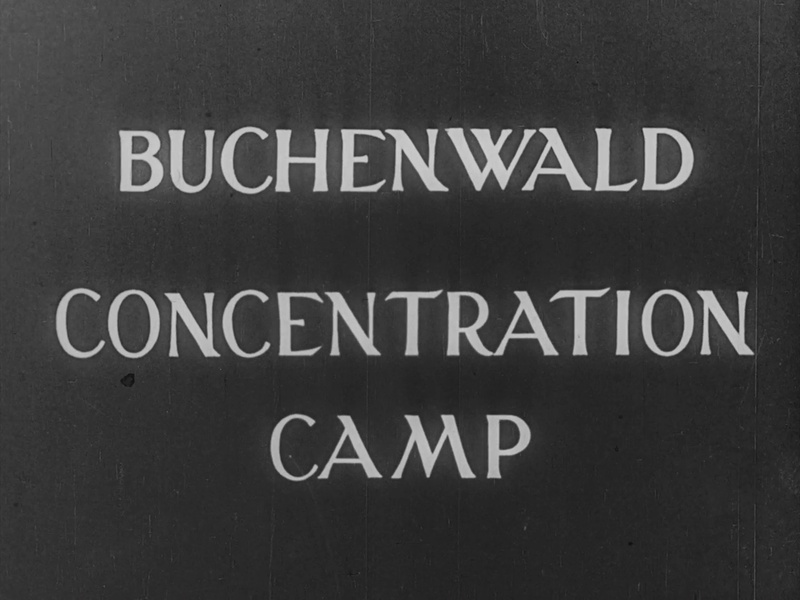 Defendant Christof Ludwig Knoll, a former political prisoner and block leader, testifies at the trial of former camp personnel and prisoners from Dachau. 8. Defendant Fritz M. K. Becher answers the court's call to testify during the trial of former camp personnel and prisoners from Dachau. 9. Defendant Otto Foerschner testifies at the trial of former camp personnel and prisoners from Dachau. 10. Defendant Otto Schultz replies to a question put to him by defense attorney Capt. John May (standing), at the trial of former camp personnel and prisoners from Dachau. 12. 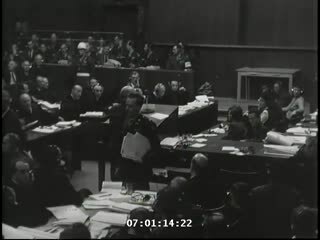 Dr. Fritz Hintermeyer, the former chief physician at Dachau, describes how 400 prisoners died daily during an epidemic, during his testimony at the trial of former camp personnel and prisoners from Dachau. 13. Dr. Hans Kurt Eisele listens to an account of his pursuits as a Luftwaffe medical researcher at Dachau, where he used prisoners of war as "human guinea pigs" to check the effects of extreme pressures and air temperatures, causing numerous fatalities. 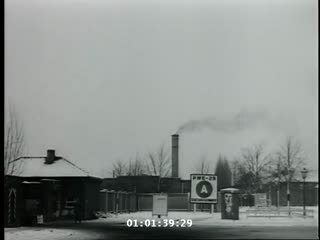 Eisele is on trial with 39 other camp personnel and prisoners fom Dachau. 14. Dr. Klaus Karl Schilling, a physician who infected over one thousand prisoners with malaria in his experiments at the Dachau camp, defends himself at the trial of former camp personnel and prisoners from Dachau. 15. Dr. Klaus Karl Schilling testifies at the trial of former camp personnel and prisoners from Dachau. 16. Dr. Norbert Freed, a Czech doctor of philosophy and a survivor of Dachau, examines a piece of evidence at the trial of former camp personnel and prisoners from Dachau. Prosecuting attorney Lt. Colonel William Denson looks on. 17. Father Johann Maria Lenz, a former inmate of Dachau, testifies at the trial of former camp personnel and prisoners from Dachau. 18. Father Johann Nehausler, former counselor to the Bishop Cardinal of Munich and a former inmate of Dachau, testifies at the trial of former camp personnel and prisoners from Dachau. 19. Former camp commandant Martin Gottfried Weiss testifies at the trial of former camp personnel and prisoners from Dachau. 20. Former Dachau inmate Helmuth Breiding identifies former SS-Sturmbannfuehrer Friedrich Weitzel as the man in charge of food, clothing, and shelter, at the trial of former camp personnel and prisoners from Dachau.